Snap! Snap! Alan has the biggest, scariest teeth in the whole jungle. They’re so big and scary he’s famous! All the jungle animals are scared. But Alan also has a very funny secret. After a long day of scaring, he likes nothing better than to run a warm mud bath and take out his false teeth! That is, until his teeth go missing. What will Alan do now? Scaring is the only thing he knows how to do. Can he still be scary without them? 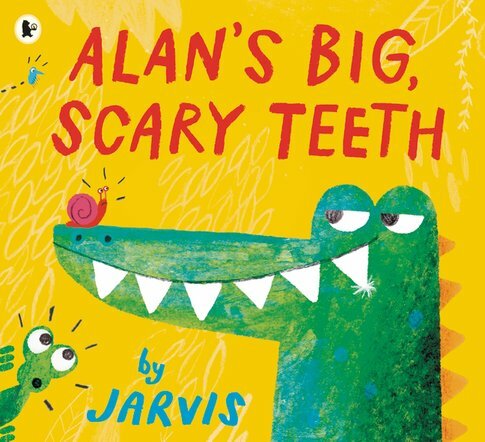 We don’t know what’s funnier: Alan’s cheeky story or the bright, bold pictures of this cunning crocodile. It’s a feast of chuckles!